As a resident of a Segal house I am trying to colleague and have photos, at the moment is it a simple web site ( Walter Segal showed us how to build things simply, so this website is simply built) and I hope it will grow over the years as I and others add more properties to it. It must be noted that not all of these properties listed here were actually designed by Walter Segal himself, but they are of the Segal design style by other practices such as Architype. Also some of Walter Segals buildings where not just of the timber post and beam style, but of brick etc. that are admired. However this web site is celebrating the timber post and beam style. Two houses open for the public to look inside, one that has been eco refurbished. Also Films on self building schemes Refreshments & Art Show. Walters Way is Self Build Scheme by pioneering architect Walter Segal and one of Lewisham councils housing projects. There are 13 houses in a cul-de-sac on steep sloping ground, many have been extended and adapted. Segal self build trust Main web site for the Walter Segal trust, includes other buildings. Centre for Alternative Technology - new classroom They have a number of Segal buildings. 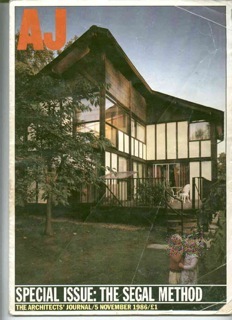 Architecture Foundation - Film of 10 mins of Walters Way "How Walter Segal's 1970s DIY Community Could Help Solve Today's Housing Crisis"
some FAQ's including details of Surveyors useful for mortgage arrangements. Who has worked with Walter Segal on Lewisham builds and has worked on other Segal buildings. Below are pages of photos of mine and info on buildings, that I have manged to obtain, it still needs more time put in by me - apologies and please bear with me ! Please Note : All photos are taken from the street/ public access space, unless permission has been granted, all properties are private residences unless stated. If you go and look at the properties themselves please respect the owners privacy and you do so at your own risk. Excellent introduction to the Segal Method, how it works , how the houses constructed - you could start building a house from using this Article. I was sent a scanned copy, so here it is. May be arranged to Walters Way at solely our discretion and timing ( they are private houses ) for pre arranged parties of interested bodies eg Architectural students/ Government & Council officials etc. Other visitors are very welcome to come on Open House weekend - thank you. Obtain photos of projects listed on the Walter Segal trust site anyone help? If so please contact me. 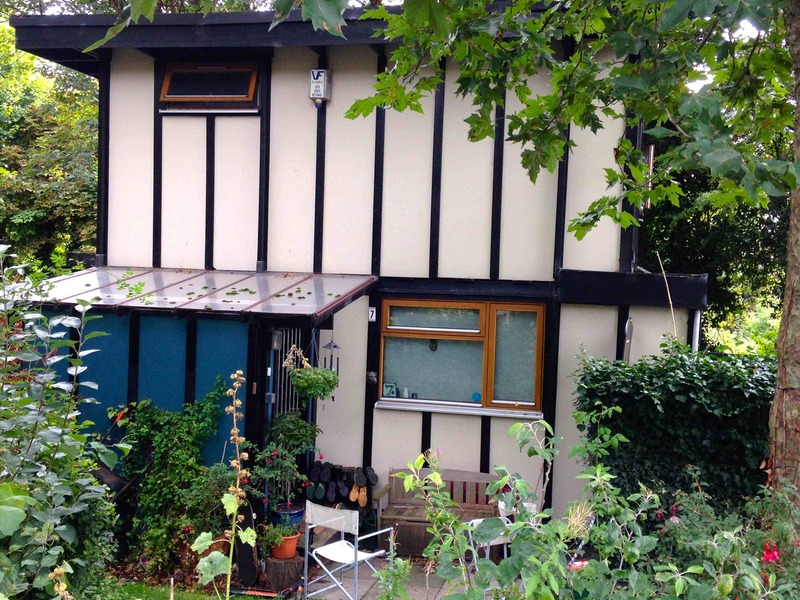 Presenting the work of the revolutionary architect Walter Segal, Walter’s Way: The Self-Build Revolution focuses on Segal’s work with the Lewisham self-builders of the 1980s and displays the application of Segal’s method today. The exhibition will include a Segal structure (which will later be donated to self-build group RUSS), archive films, photos and drawings and a work by Turner-prize winning design collective Assemble. 1/ The publisher of this web site cannot be responsible for any external websites. 2/All photos are taken from the street/ public access space, unless permission has been granted, all properties are private residences unless stated. 3/ Whilst every effort has been made to make this information document as accurate as possible, no responsibility can be accepted for inaccuracies, errors or omissions in technical or any other information. This website and document does NOT endorse any commercial products, processes, or services. Therefore, mention of commercial products, processes, or services cannot be construed as an endorsement. Please seek professional advice before entering into any transaction. For legal items you should consult a solicitor for advice.